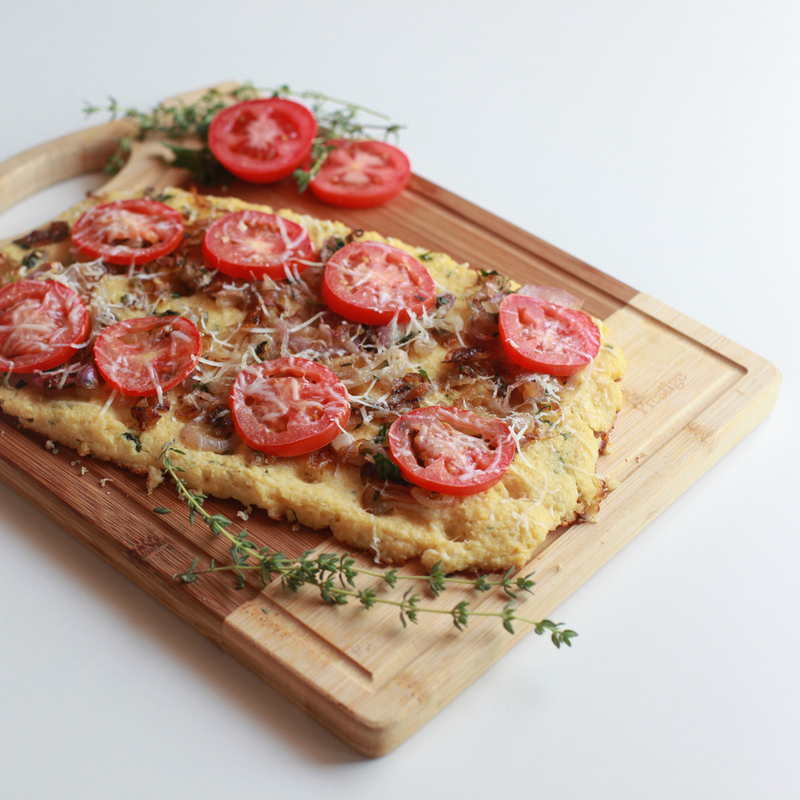 For about 6 months, I have been on a hunt for a good gluten free pizza crust recipe. We tried several different recipes and didn’t ever find one that didn’t crumble apart when I tried to pick it up. But, friends, I’ve found it. THE crust recipe. 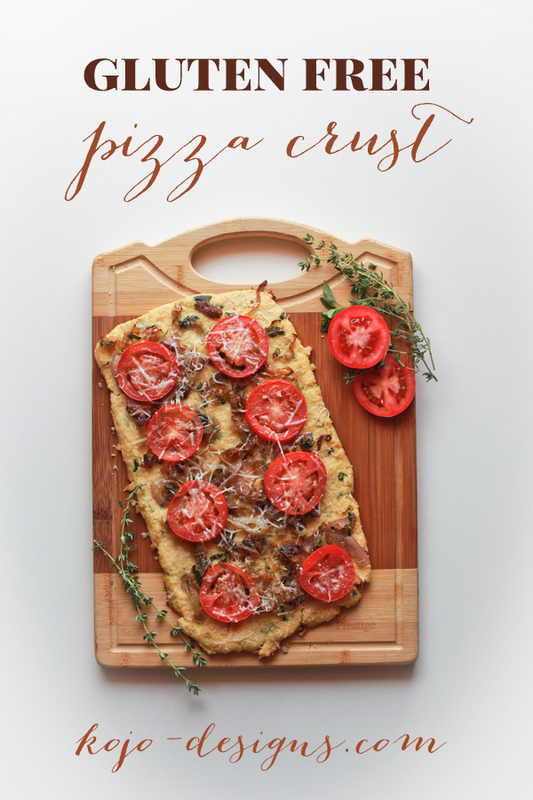 There has been much rejoicing in our kitchen over this discovery (and not just on my part- we are a homemade pizza loving family)! 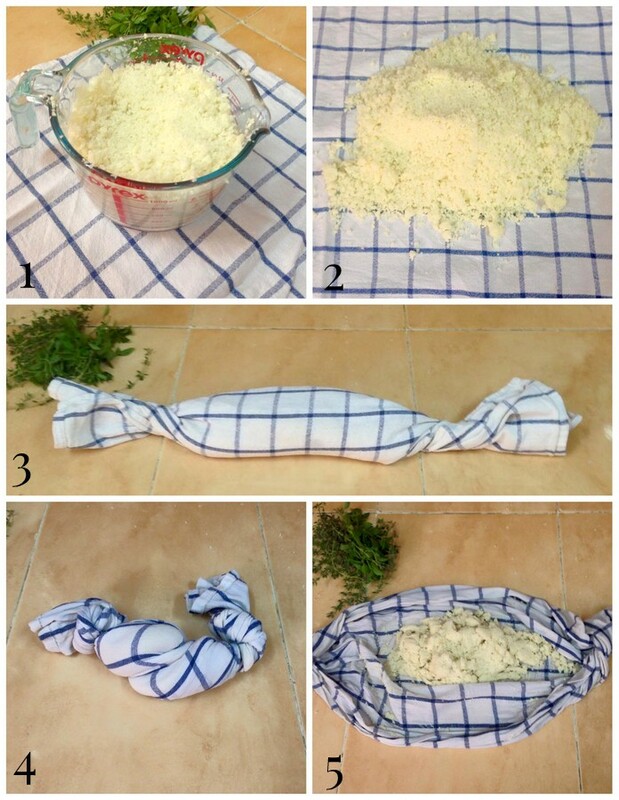 I also stumbled upon a couple of game changer tips that have made a huge difference- to cook and strain the cauliflower and to use a pizza baking sheet (I bet a stone would work wonders as well). The cheese in this recipe also helps keep the dough together, so if you omit it, just know it will be a bit more crumbly. Cut the florets into about 1 inch pieces, don’t use much of the stalk. Working in batches, put about 2 cups of cauliflower in a food processor. I find that pulsing for 1-2 second intervals works better in making sure the pieces are all the same size. You want the cauliflower to be pretty finely pulsed; smaller than rice (cous cous size). Remove and place in a microwave safe bowl. Repeat until you have used all your cauliflower. At this point, you should have roughly 4 cups of cauliflower “flour”. Microwave the cauliflower for 6 minutes, stirring halfway through. Pour the flour onto a clean dishtowel and allow to cool until it is cool enough to touch. Once you feel like you can touch the califlower without burning your hands, roll up the dishtowel and (over a sink) keep twisting. The liquid from the cooked califlower will start to ooze out, keep twisting. The more liquid you squeeze out, the less mushy your final pizza crust will be. If your cauliflower all gets into a bunched up ball, open the towel and redjust, then twist as squeeze again until you feel like you’ve squeezed out all the liquid you can. When you re-open the towel it should look and feel more like corn meal than steamed veggies. Preheat oven to 400° F. If you are using a pizza stone, put your pizza stone in now to preheat with the oven. Mix together the cauliflower, almond flour, cheese, salt and herbs. Crack one egg into the mixture and combine with your hands. Crack the second egg into a bowl and scramble. Slowly add a little bit of egg at a time until the dough comes together. I have no idea why the amount of egg needed changes, but it does. You want the dough to be able to form into a ball, but not be too mushy to pick up. Put the dough onto a greased baking sheet (or non-greased pizza stone) and press it onto the sheet to flatten. Bake for 20 minutes without an toppings. Remove from the oven and add desired toppings. 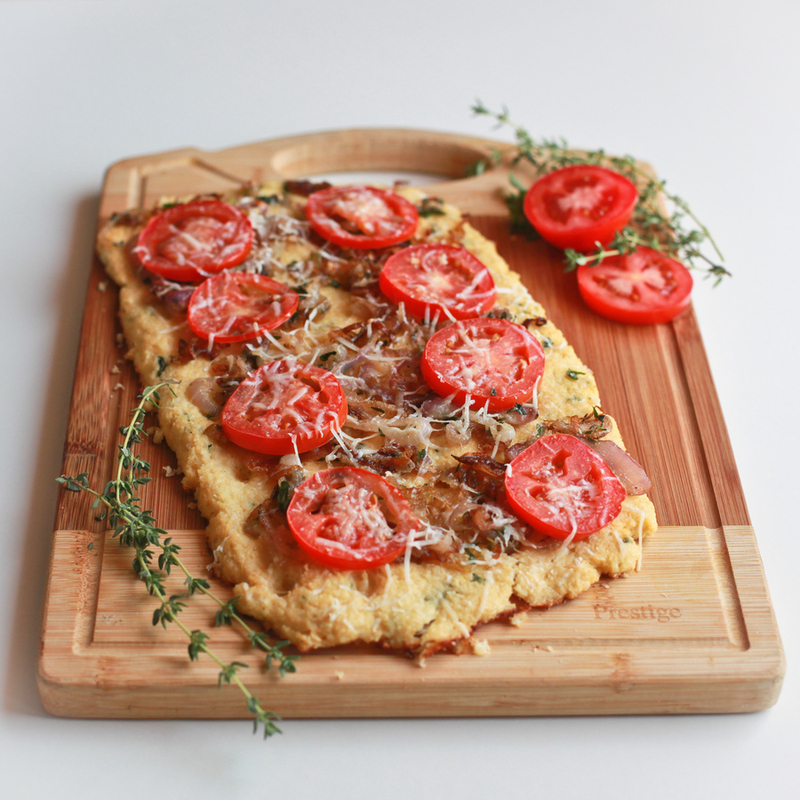 We make this as a sauceless pizza with caramelized onion, tomatoes and parmesan cheese. YUM! Gluten free pizza crust success!